To register please contact the Millennium office at 863-413-1655 or EmmaOswald@aol.com. Millennium Dancesport Championships Entry Forms are listed and can be downloaded. 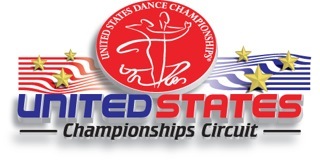 Professional & Amateur Competitors please check your current N.D.C.A. registration status to avoid late fees. You must be registered to dance or dance numbers will not be issued. We accept Master Card, Visa, Discover, American Express or Certified check. A 3% service charge will be added to anything above $1000. Entries must be received by the deadlines or a $100.00 late registations fee will be charged. Hotel rooms will not be booked without payment in advance. Proper entry and registration forms must be completed and submitted with your order. Thank you for 22 years of wonderful competitions at the Millennium Dancesport Championships.